In my opinion, when shopping cheap vintage clothing the prices are comfortable enough that you can buy a few items at once without breaking the bank. This means pieces normally sell for under $20 (if not less) each. Shopping vintage clothing online or from a curated vintage clothing boutique are the best ways to shop for specific top-quality styles. The store owners and buyers research, pick, shop, clean, mend and steam the best pieces they can find to present to vintage lovers for a fun, enjoyable and easy shopping experience. But when you’re pinching your pennies or you just want the thrill of finding the most vintage for your buck, you sacrifice quality for speed of acquirement and amount acquired, versus the equal joys of purchasing a beautiful singular piece of clothing from a private seller. 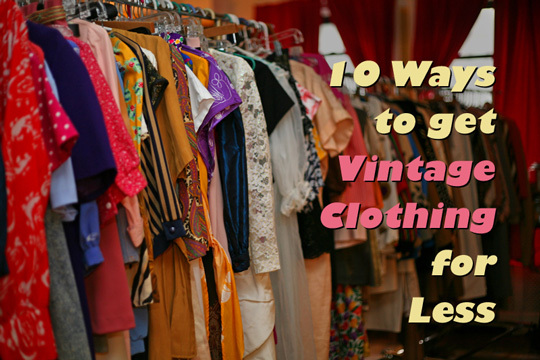 Whether you have expensive tastes or are a thrifter at heart, keep reading after the jump for my 10 best tips and tricks to finding vintage clothing for less! 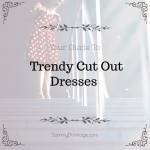 I was inspired to share this top 10 list of secret vintage clothing sources with you because I felt that there was a demand to learn the “secrets” of shopping inexpensive vintage clothing, but no true source on the Internet giving the rundown of how to do it. I hope that today’s post inspires you to shop vintage no matter your budget, and to also remember to shop online vintage marketplaces and stores for the best pickings in one place! 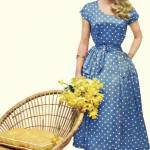 Did I miss a great source of cheap vintage clothing that I should add to the list? Share your secret (if you wish!) sources with me in the comments below the post, or by saying hello on Twitter, Facebook or Instagram! Feel free to scroll through the post see my top 10 list for the best sources of cheap vintage clothing, or click any of the links below to be taken immediately to the text within the article! THE SOURCE: Your grandmother’s closet, chest drawers, wardrobe, trunk, storage bins, attic and beyond! THE PRICE: Absolutely free. Considering you’re a member of her family, she’s not going to charge you for the pieces of clothing and jewelry that she’s not wearing anyway. 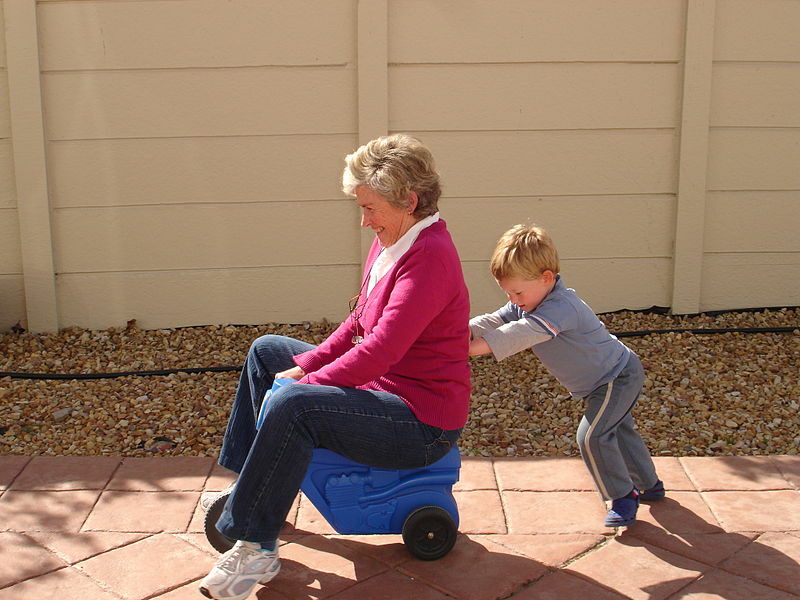 ADVICE: Asking your grandmother for her clothing can be tricky, depending on how close you are to her and how frequently you spend time with one another. I recently inherited my grandmother’s costume jewelry collection because my cousin helped her to de-clutter and organize her bedroom. However, my grandmother’s sequin dresses, cashmere sweaters and silk scarves are still packed away in her Pennsylvania home. To drop the hint that I’d love to breathe new life into her pieces, I’m going to ask if like my cousin did a year ago, I can help her to clean out her closet. I’ll donate what we both don’t want and ask her if I can keep a few pieces that catch my eye. 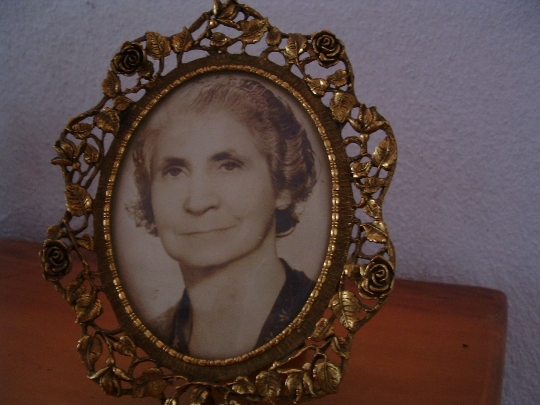 It’s a bit conniving, but if you sincerely offer to lend a hand first, the goods from your grandmother’s closet will fall into your possession naturally. THE SOURCE: Clothing swap events, whether organized within your group of friends or thanks to national swap event organizers like The Swapaholics. 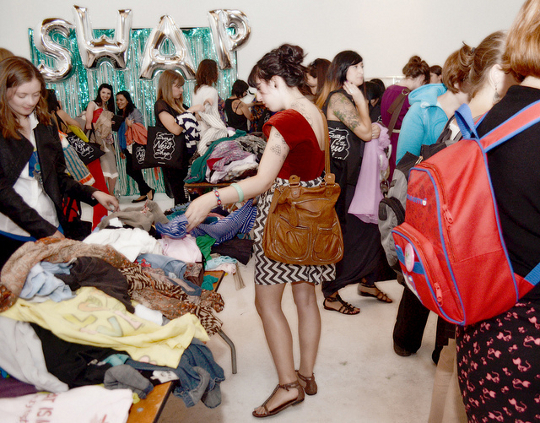 Or, host your own clothing swap event to bring together friends old and new! THE PRICE: Unless there is a general admission fee at the door, absolutely free! All you need to do is bring the required amount of pieces from your own closet to swap. You give some, you gain some. 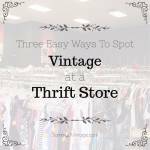 ADVICE: Use my tricks and tips to identifying vintage clothing at thrift stores when searching for vintage at a swap event. That way you can tackle the tables and racks of style with a focused shopping mission in mind. THE SOURCE: Your local flea market is full of vintage finds scattered throughout the booths, tables and tents. THE PRICE: The cost-per-piece is low and usually negotiable, unless you’re buying from a seasoned dealer who has a no-bartering policy. ADVICE: To grab vintage gold at the lowest price possible, visit your local flea market on rainy days. There will be less foot traffic and therefore less sales, so the dealer will be more likely to negotiate the selling price of his vintage wares to alleviate the pain of a low-profits day. This happened to me often when I sold at the Brooklyn Flea. If I was having a bad sale day, I was willing to barter just to break even against the cost of my booth! THE SOURCE: Your neighborhood or out-of-town garage/yard sale may contain vintage clothing for less. THE PRICE: While not the most reliable source of vintage clothing, when you find it at a garage sale chances are it’s going to be priced-to-move because the owner doesn’t have a passion for the style or an understanding of its potential value to the right customer. 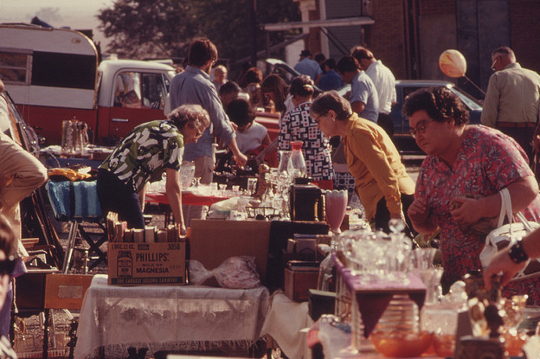 Like at flea markets, you can usually negotiate a price-per-piece to a lower cost. 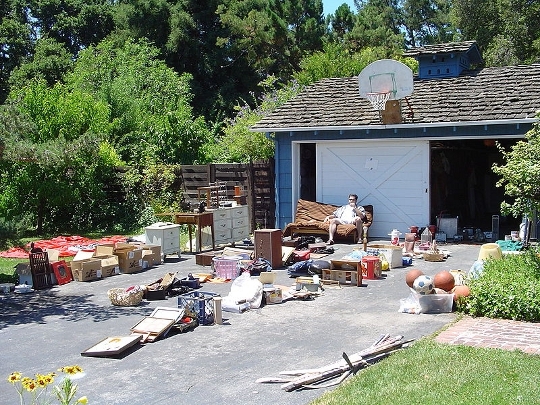 ADVICE: Yard sales occur because the owner of the goods wants to de-clutter but make some money in the interim. If you’ve spotted a few great vintage pieces, lower the cost-per-piece by negotiating a “lot” purchase from the owner. This will help the owner to clear their homes of more stuff while still making money. So if you love 4 sequin dresses that cost $20 each, negotiate their price down to $15 a piece by adding in 5 pairs of shoes for the seller’s asking price of $5 each, so that your total is now $85 for 9 pieces versus $80 for 4 pieces. 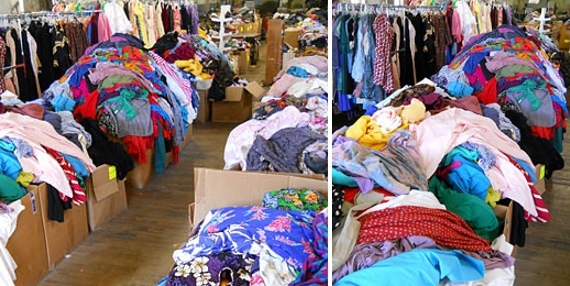 THE SOURCE: Vintage clothing sold by-the-pound or at a significantly less expensive price-per-piece at a brick-and-mortar store or warehouse facility. Using Yelp to search for by-the-pound and locations as well as word-of-mouth is the best way to find these hush-hush locations. Bulk Vintage (38 North 3rd Street in Philadelphia) is an example, where one pound of vintage clothing costs $8. THE PRICE: Pieces are weighed on a scale much like shopping for thrift finds at the Goodwill Outlet, but with a higher price-per-pound because the vintage has been curated for you and is of higher quality than what you could potentially find at a thrift store, but lesser quality than that of a boutique or online vintage store. ADVICE: Arrive prepared for a day of digging and a day of budgeting. You’ll be blown away by the vintage you find and probably won’t want to part with any of it. Sticking to your goals is key so that you don’t walk away with too much of a good thing! Use my how to thrift store shop like a pro series to help you prepare, pack, strategize, shop and finally buy like an A-game thrift player. THE SOURCE: Estate sales are like upscale yard sales organized when a home is being sold because the former owners are moving or have deceased. Estate sales are more bountiful than a yard sale because the entire home’s estates are being sold, rather than just what the owners have de-cluttered as castoffs to sell at bargain prices. THE PRICE: Generally, prices per piece at estate sales are going to cost more than anything else on this top 10 list because the sales are thoughtfully planned, promoted and executed. Usually a company hosts the estate sale on behalf of the home and takes a cut of the profits, so there is an added value to each piece sold. Sometimes estate sales are operated like auctions, but for the most part these are first-come, first-buy events that have a 50/50 chance for you to acquire vintage from. ADVICE: Do as much preliminary research about the former owners of the estate before deciding whether to attend or not. Using a national directory like Estate Sale Finder provides you with the general information of the sale’s details and photos of some contents for sale, but learning how old the owners were, what their professions were and if they had any interesting hobbies will also shed light on whether the sale is truly worth your time. My rule of thumb is that the older and wealthier (and arguably, eccentric) the owners are, the more likely the estate will have vintage clothing finds that are one-of-a-kind and worth their price. 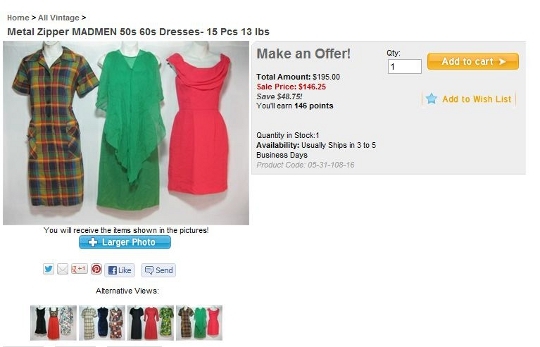 THE SOURCE: Online bulk vintage sellers like Raghouse Vintage (shown above), who regularly list “lots” of vintage by theme (’60s Mad Men dresses, ’70s ethnic wraps, jumpsuits, shorts, hats, etc.) at buy-it-all prices. THE PRICE: The lot of vintage shown above is retailing for $146.95 (on sale) at Raghouse Vintage. Broken down price-per-piece, each ’60s dress costs approximately $9.75. For someone looking to resell or an avid ’60s vintage fan, even if only half of the collection peeks your interest you’re still getting 7 fabulous pieces for the cost of $20 each. ADVICE: This method of cheap vintage clothing purchase is best suited for vintage sellers, who can buy a lot of vintage for $150 and only need to flip three pieces at $50 each to get their money back. Everything sold after that is considered profits on their initial investment in the lot. THE SOURCE: The one-and-only Craigslist.com, which is home to the web’s do-it-yourself buy and resale industry. 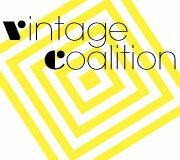 Search for “vintage” in the clothing section of the site to return results that might interest you. THE PRICE: Each listing is unique on its own. Some listers are selling one standalone piece for an asking price (always negotiable) while others are selling “lots” of their personal collections (source #7) for a buy-it-all asking price. 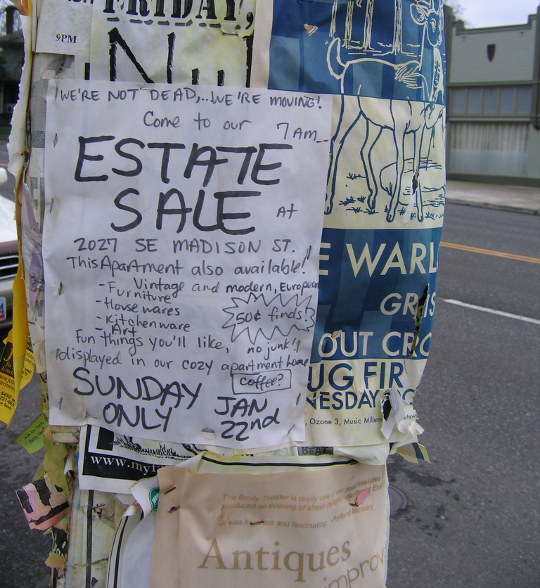 Other listings advertise that a vintage store is liquidating because they are going out of a business, an online vintage seller is having a private one-day only blowout sale or that a neighborhood vintage-themed flea market happening this weekend. 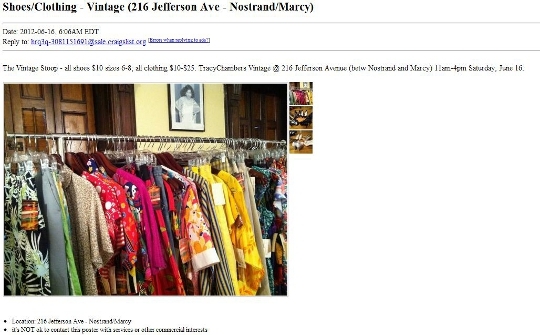 ADVICE: Check Craigslist everyday for new vintage clothing listings in your area. That way you can stay on top of recent listings and jump on a great deal or be alerted to a future event ASAP. Always request a lower price than what the seller is listing, as this is expected of Craiglist and makes your purchase much more thrifty and worth the time and investment of research, connection and pick-up. 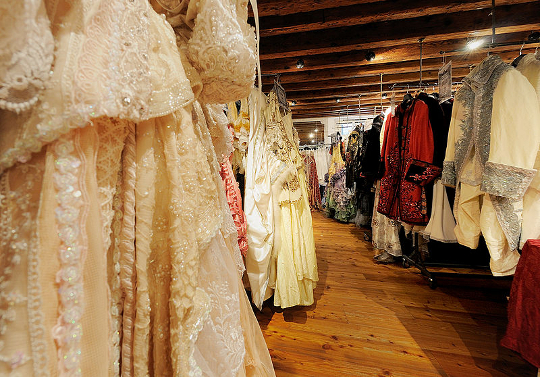 THE SOURCE: The costume shop of your town’s theater is filled to the brim with vintage goodies! This source was inspired by my recent discovery of costume shop vintage finds after the Fulton Opera Theater in my hometown had a blowout sale. THE PRICE: If the costume shop is hosting a sale, anywhere from $5 to $15 a piece or upon purchasing a large lot of clothing, a negotiated buy-it-all discount. When I bought from the Fulton I negotiated my price-per-piece down from $10 to $5 each because I was purchasing nearly $200 in clothing, much of which was the true vintage collector’s pieces that were suffering from dead rot (very fragile) and therefore unwearable. ADVICE: Call the professional, collegiate and school theaters in your town to ask if they are interested in scheduling a selling appointment with you. While I lucked out with my hometown’s theater, it will take independent initiative to reveal the potential in your local theater. Because everyone always needs a de-clutter, chances are that your theater will welcome the opportunity to sell the pieces it no longer needs to you. Come prepared with an asking price per piece ($10 dresses, $5 tops, $5 shoes, $5 costume jewelry, etc.) so that the theater’s profit expectations are managed from the get-go. THE SOURCE: Vintage clothing sold by-the-pound events like the United Kingdom’s legendary Judy’s Affordable Vintage Fair, shown above. THE PRICE: Due to exchange rates, the price-per-pound (or as seen here, by the UK “kilo” system!) is unfortunately going to cost more than the American numerical equivalency. However, the fact that you’re buying vintage abroad has added value already. In my opinion, it’s worth it to pay 15 pounds per kilo (approximately $18.80) when you know that absolutely no one back home is going to ever be wearing your finds! ADVICE: When traveling to the UK or other countries abroad, ask international vintage lovers (like those who spend time on the Sammy Davis Vintage fanpage!) to fill you in on where to visit for cheap vintage clothing. Even emailing your hotel or hostel’s manager to ask the simple question, “Where is there cheap vintage shopping?” can help point you in the right direction. Hi! Great ideas! 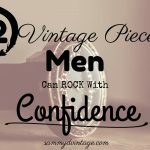 I’m an American living in the UK and have found that most of the vintage clothing here has been sourced from the US. Kathryn, this is so interesting! Where do you live in the UK? Have you been to Judy’s? Now I may have to correct my last source, as I was writing that vintage was more one-of-a-kind found abroad. Thank you! This is such great information!! I’ve been trying to find out where to buy in bulk and kept meeting dead ends. Thank you so much for being generous with your knowledge! No problem Wanett ;-) I think that Estate Sales are the new thrift stores! Go get ’em and let me know how you make out! 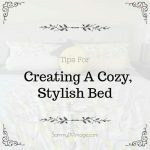 Such great advice and tips! So glad your sharing, I get asked this all the time too. Then for the lovers of vintage that don’t have the time and strength to dedicate to sifting through some of these places or live too far, there are us vintage curators that do it for you! We hunt/find/inspect/ display/present and make these wonderfully sought after finds available to them. Your definitely appealing to both markets with this post Sammy! Great job! 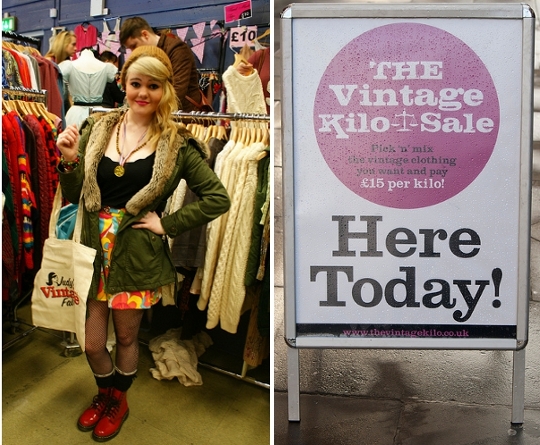 There are places where you can buy vintage by the pound or kilo? I think I’m living in the wrong part of the world!!! 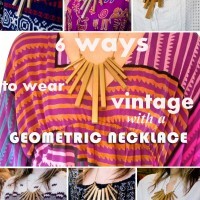 Thanks for including Bulk Vintage Clothing in your terrific write-up! We welcome all hunters and diggers- dealers, costumers, and just plain ol’ vintage-lovin’ folks. I won’t name names, but we have oodles of customers in the UK, so some of those vintage store finds are actually coming from us! Thank you Sammy for mentioning EstateSale-Finder on your web site! Please send us a link if you would like for us to put your web site address on our “Links” page. This is such a wealth of knowledge…I will focus more on selling my pieces and forget about work…I hate my job, but vintage/fashion is my 2nd love after my child!!! I would love to one day bump into you Sammy! Hi Vintage La Femme! So good to hear from you here. I appreciate these kind words and am THRILLED to hear you have found a passion in selling vintage online! Please don’t hesitate to be in touch with any questions, as I offer consulting packages, and of course subscribe to my newsletter for more tips & tricks. Please say hi anytime.